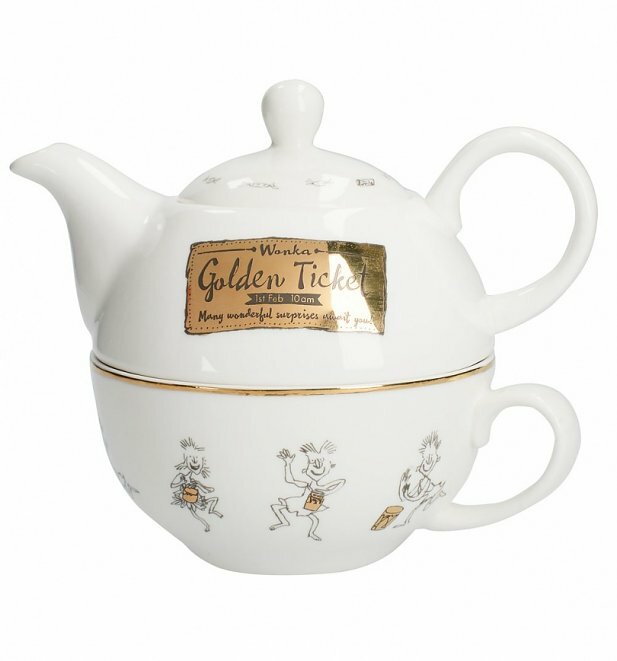 Many wonderful surprises await you with this Charlie and the Chocolate Factory tea for one set! 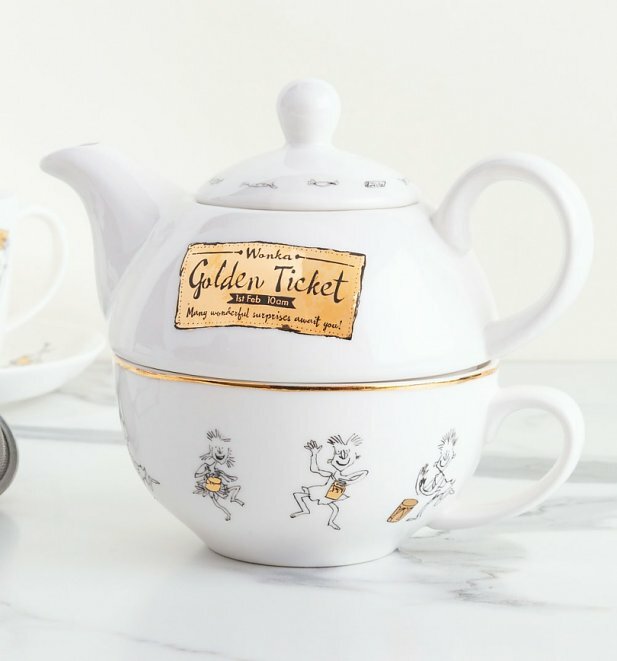 Each piece features different illustrations taken from Roald Dahl's original storybook - from the golden ticket to Oompa Loompas - and is flecked with metallic detail and a golden finish. 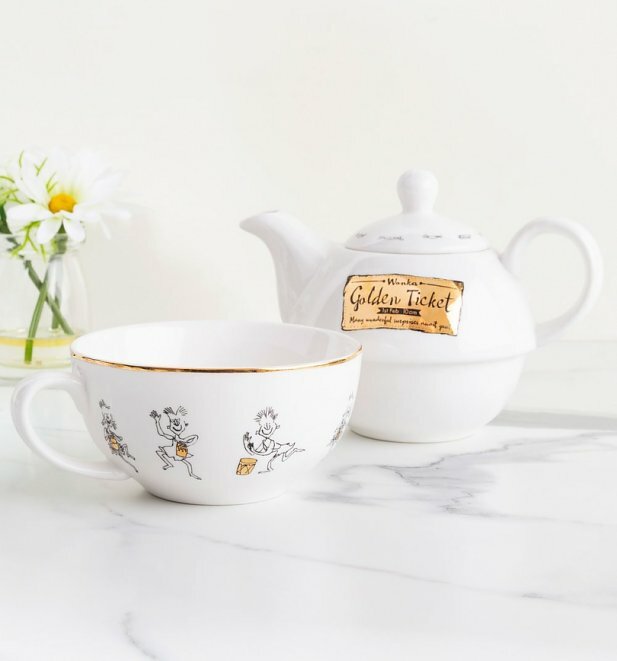 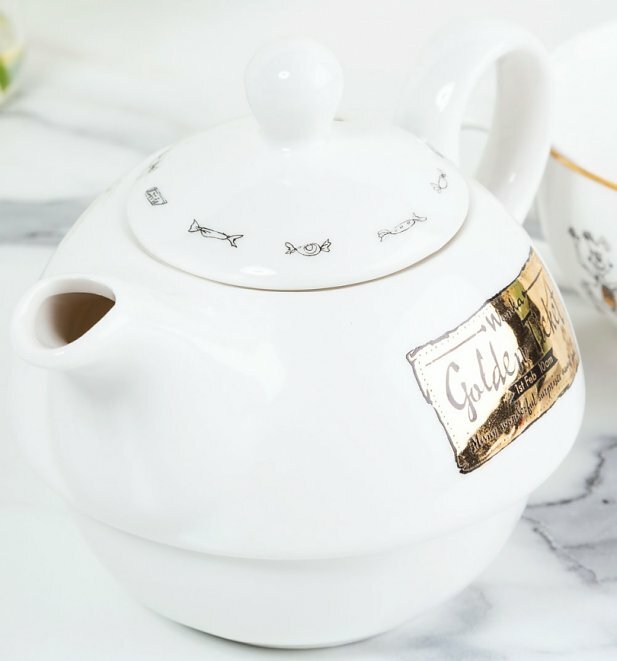 A truly magical way for fans of this timeless story to enjoy their favourite cuppa.